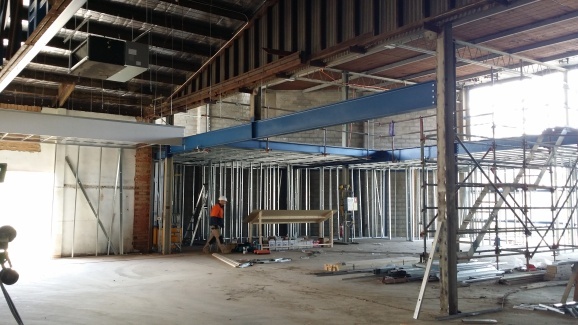 279 Canberra Avenue proved to be a challenging and interesting project which required a high degree of both engineering and construction expertise. The original warehouse was constructed in the mid 1960s with an extension added in the 1980s. 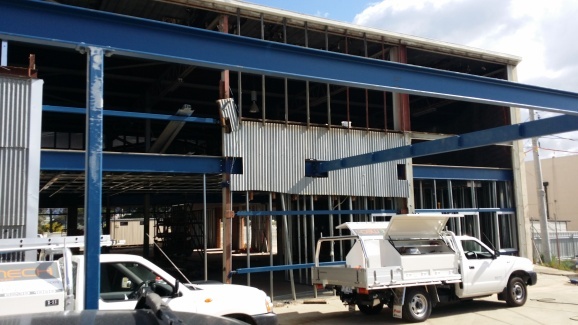 The project involved a further renovation/ extension to this warehouse. 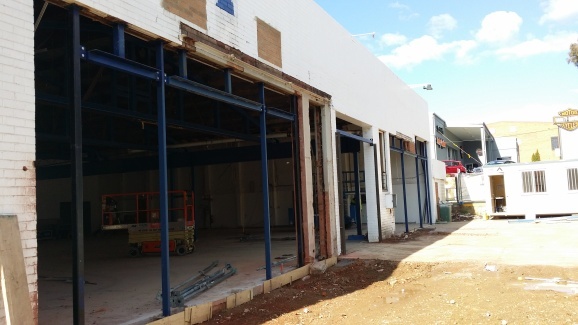 The renovation included the removal of some existing columns and load bearing walls, the introduction of a new mezzanine floor and design of a new facade framing system. analysis of the existing structure showed little capacity to handle any additional loads such as gyprock ceiling and air-condition units. Strengthening was also required to bring the structure up to current relevant standards. The project required comprehensive investigation and planning between the builder, steel fabricator and Indesco (Structural Engineers). A new truss system was selected to retrofit the existing trusses, supported by new roof beams replacing existing load bearing walls and load bearing columns. After careful detailing, this system proved to be the best solution with construction technique that was both safe but cost effective and had minimal impact to the existing roof. 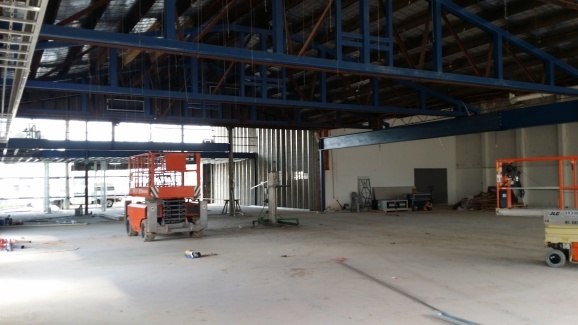 The mezzanine beams were also designed to be easily placed between existing columns and in some situations existing columns being removed in parts of the warehouse with new beams supporting these point loads.